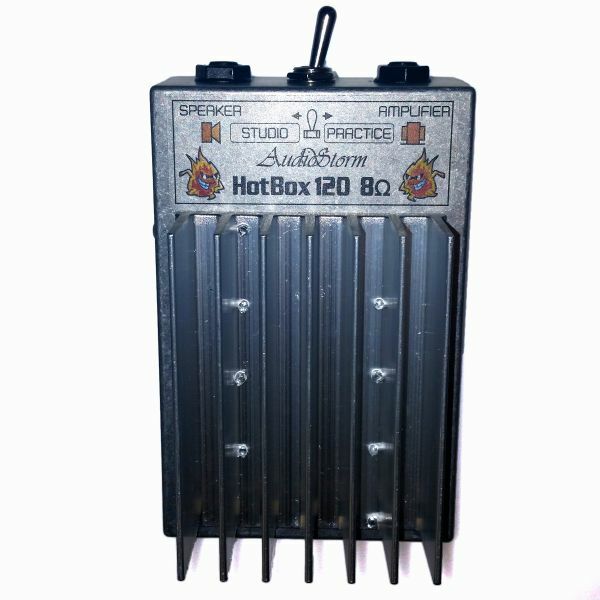 The HotBox 120 is a switchable power attenuator, also sometimes called a power soak, designed to absorb 90% or more of the output power from your amplifier so that you can overload valves and transformer without deafening yourself. The HotBox 120 Mk3 is a compact, premium power-attenuator that enables you to drive your valve amp brutally hard into those sweet overload conditions yet output the perfect volume for recording or loud jam sessions. 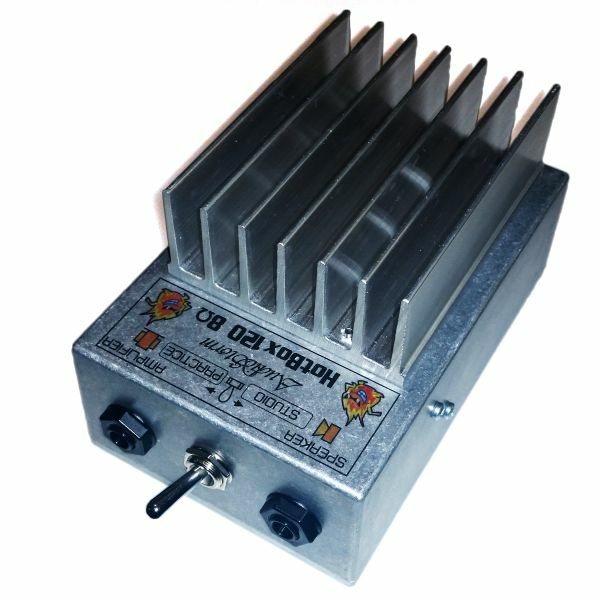 Simply connect the 120 between your amplifier's output and the speaker itself then turn your amp up to overload levels and 90% or more of the power will be absorbed and turned into heat leaving you with the real and unique sound of your amp overloading but at a manageable volume. The Mk3 (Launched August 2017) adds a new heatsink to the design to ensure it runs cooler than ever before, has minor component tweaks to provide a better overall tone and offers even more reduction in Practice mode to satisfy even the owners of those super-loud vintage amps beginning with 'M'. You know who you are! But, best of all, we've managed to negotiate better deals with our component suppliers so the price hasn't gone up even a penny! The HB120 has a dual mode switchable reduction ratio. In Studio mode it is ideal for reducing amplifiers of between 30 and 120 watts down to the perfect volume for studio recording and moderate volume jam sessions. 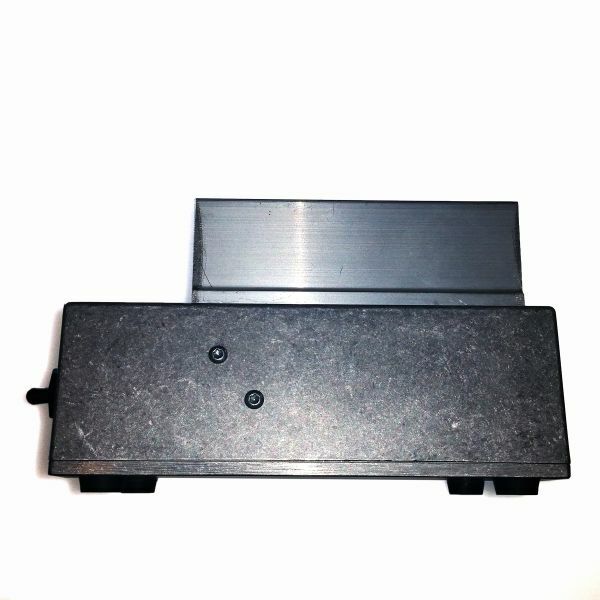 For amplifiers of between 10 to 30 watts this mode will reduce the output down to a level suitable for rehearsing by yourself. In Practice mode it is ideal for reducing amplifier of between 40 and 120 watts down to the perfect volume for solo practice or will reduce amplifiers of under 40 watts right down to bedroom levels. Suitable for any valve amplifier upto 120 watts. Perfect for extended use and abuse in the studio or live. Studio mode 10:1 power reduction ratio turns a 100 watt amp into a 10 watt amp or a 30 watt amp into a 3 watt amp.